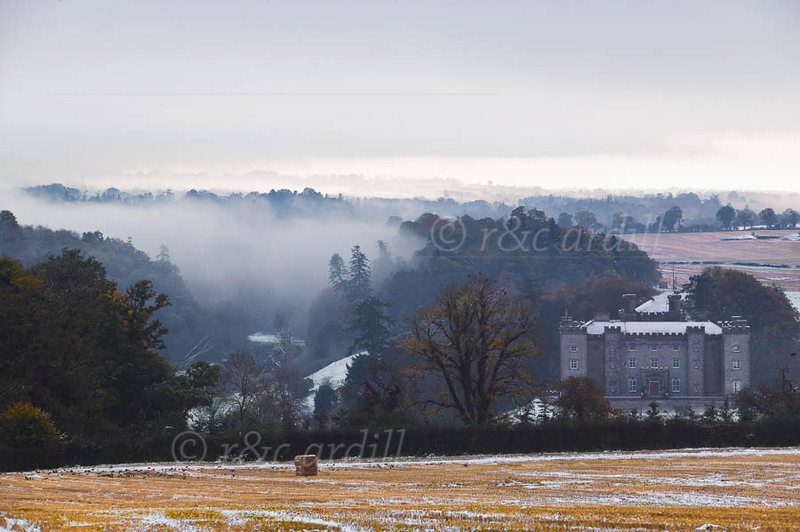 A view of the Boyne Valley with a scattering of snow in late Autumn. The river can be seen to the left of the picture under a blanket of mist. To the right of the photograph is Slane Castle. Slane is one of the most picturesque villages in Ireland and is an important heritage site featuring the Hill of Slane, Slane Castle, Slane Weir and Bridge. The megalithic sites of Newgrange, Knowth and Dowth are nearby.